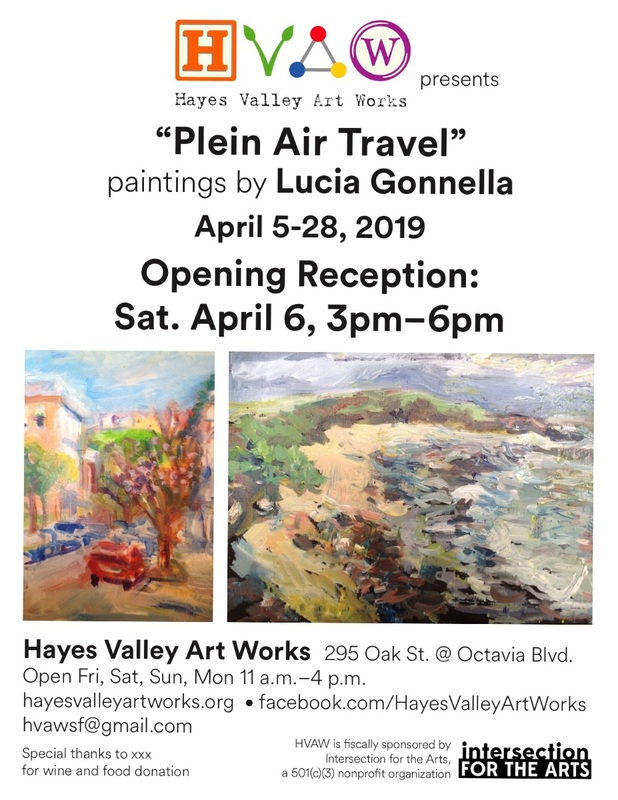 I am happy announce that I will be showing my artwork at Hayes Valley Art Works a fun community space from April 5 to April 28. The reception will be on April 6 from 3 to 6 pm. Gallery hours are M - F - Sat - Sun 11 am - 4 pm. Copyright © 2019 Lucia Gonnella, All rights reserved.